Dan Too is a country-rock, alt. 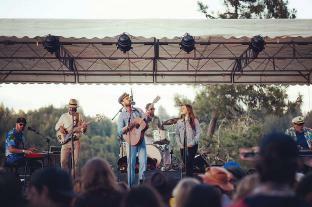 country outfit from Santa Cruz, CA with a thinly veiled tendency towards yacht-rock. The band contains members from American Starlet, Painted Horses, Dan Juan, Grand Larson, Slow Ocean, T Sisters, Birdhouse, and Dos Osos.